Born: 28 December 1880, Worcester, South Africa. Died: 12 April 1947, Cape Town, South Africa. C. Louis Leipoldt (he never used his middle name) was a son of the Rhenish missionary (and later minister of the Dutch Reformed Church) Christian Friedrich Leipoldt and his wife Anna C.M. Esselen, and a brother of J.G.W. Leipoldt* and Luise F.C. Leipoldt*. Louis, who became a brilliant and unconventional physician, author, poet, journalist and naturalist, received informal training in the natural sciences, history, geography, Greek, Latin, French, literature and Eastern religions from his father, who guided his son towards independent study while growing up at Clanwilliam. In addition to German, his home language, Louis spoke English and Dutch. He had an exceptional memory and remarkable general knowledge for a child. However, his early years were lonely and unhappy, as his mother prevented his association with other children. Before the age of twelve he started writing stories, his first publication appearing in The Cape Argus in 1891. At the age of fourteen he became a local reporter for the Cape Times. He matriculated through the University of the Cape of Good Hope in 1897. During his youth he met the German botanist Rudolph Schlechter*, who collected at Clanwilliam in 1894 and 1896. In 1895 Leipoldt, then 14 years old, presented plants to the Cape Government Herbarium. Its curator, P. MacOwan* expressed the hope that more would follow, enabling him to illustrate the district's "rich and somewhat peculiar flora". Leipoldt sent more plants in 1897, and from August to October that year accompanied Rudolph Schlechter and his brother Max Schlechter* on a collecting trip to Namaqualand and the Orange River. He also collected zoological specimens, mostly invertebrates, presenting the South African Museum during 1897 with some insects and arachnids from Clanwilliam collected with R. Pattison*. Two new species of scorpions were named after them by Dr L.A. Peringuey*. Leipoldt sent a larger collection the next year, including many new and rare arachnids, some new species of insects, and a variety of other animals. More scorpions and spiders followed in 1899 and 1900. After matriculating he moved to Cape Town and became a journalist for De Kolonist. During the Anglo-Boer War (1899-1902) he was a correspondent for several overseas newspapers and also started writing poetry. In 1902 he went to Europe and the next year, with financial aid from Harry Bolus*, enrolled at Guy's Hospital, London, as a medical student while continuing his work as a journalist. He qualified as a member of the Royal College of Surgeons (MRCS) and a licentiate of the Royal College of Physicians (LRCP) in 1907, receiving gold medals for both surgery and medicine. After further studies in orthopaedics and children's diseases in Berlin, Bologna, Vienna and Graz he acted as personal physician to the son of the American millionaire press-magnate Joseph Pulitzer for six months during 1909. That same year he qualified as a Fellow of the Royal College of Surgeons (FRCS) and travelled through Europe with H. Bolus and the latter's niece H.M. Louisa Bolus*. During 1910-1911 he worked in a children's hospital at Chelsea, London, and wrote a book on nutrition and diet, Common-sense dietetics (London, 1911). That same year he published "Some remarks on pantopon anaesthesia" in The Lancet (1911). He then became a school doctor in London and visited continental Europe and the United States in connection with his work. Early in 1912 he travelled as ship's doctor to Indonesia. Resuming his work as school doctor in London he wrote The school nurse: Her duties and responsibilities (London, 1912). Around this time he obtained various diplomas in cookery, a hobby which earned him considerable renown in later years. He also published his first volume of poems, Oom Gert vertel en ander gedigte (Cape Town, 1911). These came to be appreciated for their dramatic force, delineation of character, intense expression of human suffering during the Anglo-Boer War, and their joyous appreciation of the beauty of nature. After serving as war correspondent and medical officer in the Balkans during 1912-1913 he returned to South Africa in 1914 to the newly created post of chief medical inspector of schools in the Transvaal. During the next nine years Leipoldt did much to promote school tours, holiday camps, and convalescent homes for children, and with Dr Anne Cleaver established the first South African school clinic in Johannesburg. In 1915 he contributed a paper on "Medical inspection of schools in relation to societal efficiencey" to the Report of the South African Association for the Advancement of Science (pp. 530-539). 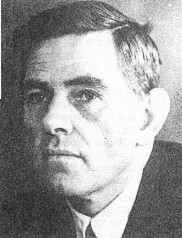 With Dr A.M. Moll he compiled the first South African intelligence test, based on the Binet-Simon and several American scales. It was used mainly in the Education Department. He published Skoolgesondheid (School health; Pretoria, 1916) and Die Afrikaanse kind in siekte en gesondheid (The Afrrikaans child in sickness and health; Cape Town, 1920), the latter aimed at parents and educators, as well as numerous articles, short stories, plays, novels, volumes of poetry, and educational books for children. His greatest dramatic work, Die heks, appeared in 1923. Though many of his works were written in English, he was a major figure in Afrikaans literature. While travelling on tours of inspection he often collected plants, especially succulents and Aloes, which he presented to Dr I.B. Pole Evans*. In 1921 he made a herbarium collection around Piet Retief. The plant genus Leipoldtia was named in his honour by H.M.L. Bolus. Several plant species were also named after him: Babiana leipoldtii, Ixia leipoldtii, Aspalathus leipoldtii, and Serruria leipoldtii. His plant specimens are now in the Bolus Herbarium and Compton Herbarium in Cape Town, the National Herbarium in Pretoria, and the herbarium at Kew Gardens. In 1925 Leipoldt moved to Cape Town and set up practice as a child specialist. Two years later he became secretary of the newly established South African Medical Association and editor of its South African Medical Journal, a post he retained to 1944. One of his contributions to the journal, as co-author with F.H. Dommisse*, was a paper reporting their research on the skeletal development of children, "The ossification of the carpal centres in Coloured children" (1936). From 1926 to 1939 he also lectured part-time on children's diseases at the Medical School of the University of Cape Town. His literary output increased during the 1930's, and he also wrote various historical works, based on secondary sources. An honorary Doctor of Literature (DLitt) degree was conferred on him by the University of the Witwatersrand in 1934. He won the Hertzog Prize for poetry in 1934, and for drama in 1944. From 1935 to his death he served on the Board of Trustees of the South African Library (now the National Library of South Africa, Cape Town). Leipoldt was an astonishingly versatile person with the ability to work effectively in several different fields simultaneously. He was also a person of strong and conflicting emotions, confessed to feelings of loneliness, and was known to be rude to some people. None the less he had a wide and influential circle of friends and acquaintances, including fellow plant collectors H. Bolus, H.M.L. Bolus, P. le Fras Nortier* and Mrs Helen Burton*, as well as other well-known scientists and politicians. Some of his firmly held convictions were unconventional, even absurd. For example, "Mathematics to me is as useless and as absurd a science as is economics; what has been achieved by its aid might just as well, so far as I am concerned, have been achieved by esoteric magic, and I have equally little interest in both". Hence he strongly opposed mathematics as a compulsory school subject. He died of a heart complaint caused by childhood rheumatic fever. A casket containing his ashes was interred in Pakhuis Pass, near Clanwilliam. The town's library was named the Leipoldt-Nortier Library, in honour of him and Dr Nortier. His collection of cookery books and manuscripts of recipes are in the National Library, Cape Town, while the University of Cape Town has a comprehensive collection of his letters, manuscripts and journalistic work. Luise F.C. Leipoldt* was his older sister, and the surveyor Johann G.W. Leipoldt* an older brother. He was not married. Cape of Good Hope. Report of the trustees of the South African Museum, 1895, 1897-1900. Google scholar. http://scholar.google.co.za Publications by C.L. Leipoldt. National Automated Archival Information Retrieval System (NAAIRS). http://www.national.archives.gov.za/naairs.htm Documents relating to Louis Leipoldt / C.L. Leipoldt. Phillips, H. The University of Cape Town, 1918-1948: The formative years. University of Cape Town, 1993. South African Association for the Advancement of Science. Report, 1915. Tobias, P.V. History of physical anthropology in southern Africa. Yearbook of Physical Anthropology, 1985, Vol. 28, pp. 1-52. Van Zyl, A.J. Twee dokters van Clanwilliam. Lantern, 1992, Vol. 41(2), pp. 9-14. University of the Cape of Good Hope. Calendar, 1903/4, list of matriculants. Zöllner, L. Nasate van die Rynse sendelinge in Suid-Afrika. Pretoria: Human Sciences Research Council, 1991.